The brain is locked in total darkness of course, children, says the voice. It floats in a clear liquid inside the skull, never in the light. And yet the world it constructs in the mind is full of light. It brims with color and movement. So how, children, does the brain, which lives without a spark of light, build for us a world full of light? Marie Laure LeBlanc is a teen who had gone blind at age 6. She and her father, Daniel, fled Paris ahead of the German invasion, arriving in the ancient walled port city of Saint Malo in northwest France to stay with M-L’s great uncle, Etienne. His PTSD from WW I had kept him indoors for two decades. They bring with them a large and infamous diamond, to save it from the Nazis. Daniel had made a scale model of their neighborhood in Paris to help young Marie Laure learn her away around, and repeats the project in Saint Malo, which is eventually occupied by the German army. Werner and Jutta Pfennig are raised in a German orphanage after their father is killed in the local mine. Werner has a gift for electronics, and is sent to a special school where, despite the many horrors of the experience, his talent is nurtured. He develops technology for locating radio sources, and is rushed into the Wehrmacht to apply his skill in the war. His assignment brings him to Saint Malo, where his path and Marie Laure’s intersect. There are three primary time streams here, 1944 as the Allies are assaulting the German-held town, 1940-44, as we follow the progress of Werner and Marie Laure to their intersection, and the 1930s. We see the boy and the girl as children, and are presented with mirrored events in their young lives that will define in large measure the years to follow. Werner and Jutta are mesmerized by a French radio broadcast, a respite from the anti-Semitic propaganda the government is broadcasting. The Professor in the French broadcast offers lectures on science, and inspires Werner to dream of a life beyond the orphanage. Open your eyes, concluded the man, and see what you can with them before they close forever, and then a piano comes on, playing a lonely song that sounds to Werner like a golden boat traveling a dark river, a progression of harmonies that transfigures Zollverein: the houses turned to mist, the mines filled in, the smokestacks fallen, an ancient sea spilling through the streets, and the air streaming with possibility. As her father is the head locksmith for the National Museum of Natural History in Paris, Marie Laure has the run of the place. She spends a lot of time with a professor there, learning everything she can about shells, mollusks and snails. Dr. Geffard teaches her the names of shells–Lambis lambis, Cypraea moneta, Lophiotoma acuta–and lets her feel the spines and apertures and whorls of each in turn. He explains the branches of marine evolution and the sequences of the geologic periods; on her best days, she glimpses the limitless span of millennia behind her: millions of years, tens of millions of years. Both Werner and Marie Laure are enriched by teachers and books as they grow. No nuclear families here. Marie Laure’s mother died in childbirth. The Pfennig children lost their remaining parent when father was killed in the mine. The author, in a video on his site, talks about the three pieces of inspiration that provided the superstructure for the novel. While 80 feet below ground in a NYC subway, a fellow passenger was griping about the loss of cell service. Doerr appreciates the beautiful miracle that is modern communications. At the start of the book I wanted to try to capture the magic of hearing the voice of a stranger in a little device in your home because for the history of humanity, that was a strange thing. I started with a boy trapped somewhere and a girl reading a story. A year later he was on a book tour in France and saw Saint Malo for the first time. Walking around this beautiful seaside town, a walled fortress, the beautiful channel, the green water of the channel breaking against the walls and I told my editor, “look how old this is. This medieval town’s so pretty.” He said, “actually, this town was almost entirely destroyed in 1944, by your country, by American bombs.” So I started researching a lot about the city of Saint Malo immediately and knew that was the setting. That was where the boy would be trapped, listening to the radio. The third piece arrived when Doerr learned that when the Germans invaded, the French hid not only their artistic treasures but their important natural history and gemological holdings as well. The story is told primarily in alternating Marie Laure’s and Werner’s experiences. But there is a third stream as well, that of Sgt Major Reinhold von Rumpel, a gem appraiser drafted by the Reich to examine the jewels captured by the military and collect the best for a special collection. He becomes obsessed with finding the Sea of Flames, the near mythic diamond Daniel LeBlanc had hidden away. He is pretty much the prototypical evil Nazi, completely corrupt, greedy, cruel, as close to a stick-figure characterization as there is in the book. But his evil-doing provides the danger needed to move the story forward. There may not be words sufficient to exclaim just how magnificent an accomplishment this book is. Amazing, spectacular, incredible, moving, engaging, emotional, gripping, celestial, soulful, and bloody fracking brilliant might give some indication. There is so much going on here. One can read it for the story alone and come away satisfied. But there is such amazing craft on display that the book rewards a closer reading. In addition to a deft application of mirroring in the experiences of Werner and Marie Laure, Doerr brings a poet’s sense of imagery and magic. Marie-Laure’s experience of the world is filled with shell, snail, and mollusk experiences and references. Some are simple. During a time of intense stress, she must live like the snails, moment to moment, centimeter to centimeter. In a moment of hopeful reflection, these tiny wet beings straining calcium from the water and spinning it into polished dreams on their backs—it is enough. More than enough. You will find many more scattered about like you-know-what on a beach. Werner’s snowy white hair alone might stand in for the entirety of the visible spectrum. (although it is described as “a color that is the absence of color.”) The dreaded prospect of being forced to work in the mines in a literally coal-black environment, the very antithesis of light, offers motivation for Werner to find another path, and coal itself offers a balance for that other form of carbon that drives Marie Laure’s father out of Paris, the one that embodies light. While black and white are often used in describing Werner’s environment, the broader spectrum figures large in his descriptions. Werner liked to crouch in his dormer and imagine radio waves like mile-long harp strings, bending and vibrating over Zollverein, flying through forests, through cities, through walls. At midnight he and Jutta prowl the ionosphere, searching for that lavish, penetrating voice. When they find it, Werner feels as if he has been launched into a different existence, a secret place where great discoveries are possible, where an orphan from a coal town can solve some vital mystery hidden in the physical world. A nice additional touch is Marie Laure’s reading of 20,000 Leagues Under the Sea. It permeates the tale as her reading echoes events and tensions in the real world of the story. Also avian imagery is a frequent, soulful presence. A particularly moving moment is when a damaged character is reminded of a long-lost friend (or maybe a long-remembered fear?) by the presence of a particular bird associated with that friend and the time when they knew each other. There are substantive issues addressed in this National Book Award finalist. Moral choices must be made about how to respond when darkness seeks to extinguish the light. There are powerful instances in which different characters withdraw into their shells in response to evil, but others in which they rage against the night with their actions. Thoughtful characters question the morality of their actions, as dark-siders plunge into the moral abyss. Sometimes the plunge is steep and immediate, but for others it is made clear that innocence can be corrupted, bit by bit. The major characters, and a few of the secondary ones, are very well drawn. You will most definitely care what happens to them. 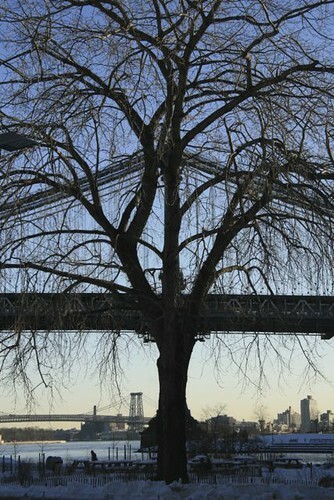 As for gripes, few and far between. There is a tendency at times to tell rather than show. Marie Laure may be too good. That’s about it. There are sure to be some who find this story too emotional. I am not among them. Just as Werner perceives or imagines he perceives an invisible world of radiowaves, All the Light We Cannot See enriches the reader with a spectrum of imagery, of meaning, of feeling. You may need eyes to read the page, ears to hear if listening to an audio version, or sensitive, educated fingers to read a Braille volume (please tell me this book has been published in Braille), but the waves with which Doerr has constructed his masterwork will permeate your reading experience. They may not be entirely apparent to your senses the first time you read this book. They are there. Whether you see, hear or touch them, or miss them entirely, they are there, and they will fill you. All the Light We Cannot See is a dazzling novel. When you read it, you will see. 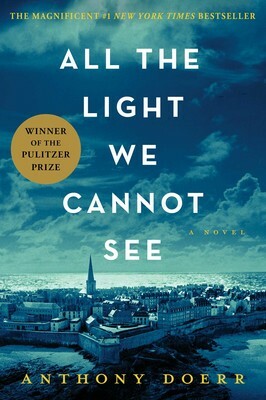 2/11/2015 – The long list was announced today for The Andrew Carnegie Medals for Excellence in Fiction and NonFiction and All The Light We Cannot See was on it. i found your interesting page. You deserve for much more traffic. Great review, as always. My wife and I both loved the book, as well.